Finding the right PCB manufacturer requires thorough investigation. So, when looking into a list of fabricators it is important to ask the right questions. Be certain you’re getting the lowest total cost? Find an experienced and professional fab house? 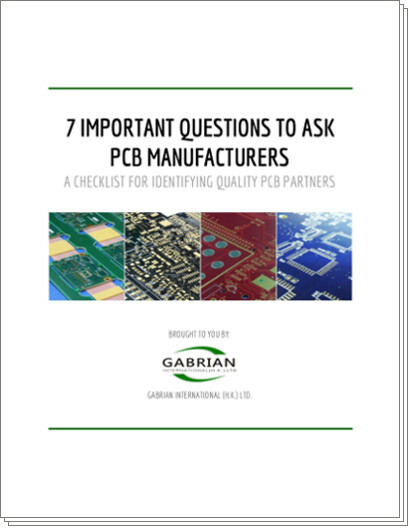 This white paper gives you 7 questions to ask manufacturers. Asking them will help you choose the best fabricator for your company. Put yourself in the best possible position. Fill out the form to download this whitepaper now.